Full Diagnostic Scans including Tyre Pressure Monitoring Systems now available! Tyres Assist now offer a convenient emergency roadside repair service in Whitefield and the surrounding areas for your punctured tyre. Simply contact Tyres Assist on 0161 764 5511 and we'll come to you, repair* your puncture and have you mobile again in no time for only £19.95. *The Tyres Assist Emergency Roadside Puncture Repair System is a temporary tyre repair service. The repaired tyre must not be used for more than 50 miles or exceed 50mph until the tyre has been replaced or a permanent repair carried out. In the event that your puncture is not safely repairable, One of our team will advise you of your options. As a result of our relationship with Kumho, these premium brand tyres are avaiable within the price range of many of our budget tyre options. 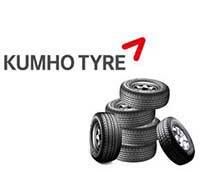 Tyres Assist has been selected by Kumho Tyres as it�s sole brand distributor in the Whitefield Area. Kumho products are selected by a growing number of vehicle manufacturers, including BMW, Mercedes, VW, Renault and Fiat, as Original Equipment (OE) for their latest models. Kumho is already an Original Equipment supplier to three of the worlds top five car brands and the list of manufacturers continues to grow. As a brand distributor for Kumho Tyres, Tyres Assist can now offer these premium brand tyres at budget prices. Please call us on 0161 764 5511 with your requirements. Tyres Assist offer Budget, Midrange and Premium Tyres, Fitted and Balanced at low prices. Why Pay More? At Tyres Assist we know that drivers have different priorities when it comes to looking after their vehicles. When it comes to tyres you want the right tyre at the right price, that's why we have no ties to specific manufacturers, we just concentrate on fitting the tyres of your desires. Flexible and convenient, we offer mobile fitting appointments 24 hours a day, 7 days a week to work around your busy schedule or simply call in at our fitting centre near Whitefield Lancashire. 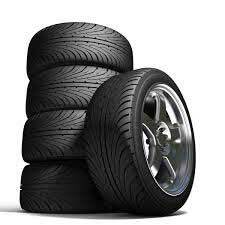 We can manage the tyres of your car, caravan or fleet and give you the expert advice you need to make the right choices. Our straightforward approach means you only ever pay for what you need, when you need to. We even offer flexible finance options* to suit every budget. "Best value I could get, and being a partner with Bury fc helped a great deal as well. Staff are really friendly, and quick service done with 2 replacment Bridgestone tyres." "Excellent service from tyre assist Very very good prices Quick fitting Professional job done Even got a free brew while waiting in the warm comfortable offices." "this is the best tyre shop i have ever dealt with , the tyres i bought (2) could not be bettered on price or quality and were rated better than premium tyres costing three times as much .I found the premises very clean and tidy there is a very comfortable waiting room with free coffee, and the fitters are very friendly clean and very efficient i would recommend to anybody for Price ,service, quality." "I was quoted nearly £1000 for tyres for my X5 at kwik-fit, Martin at Tyres Assist recommended a lesser know tyre brand that was actually better rated than the kwik-fit ones for less than £400 for the set. I couldn't be happier and would recommend these guys to anyone." "Fantastic service! 2 new tyres at excellent prices and tie rod end fitted. Thanks guys!!" "Fast and Efficient, nice clean and warm reception - much better than waiting around in a cold, dirty garage!"